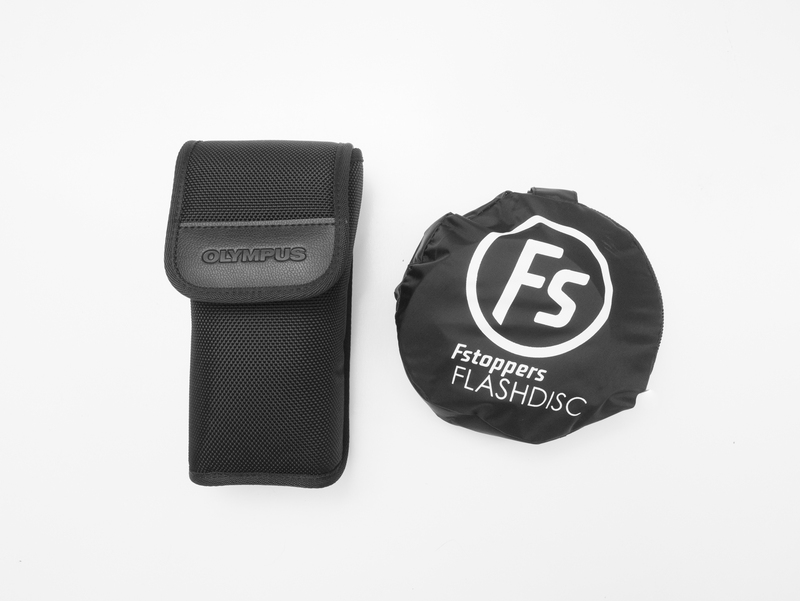 I just took a delivery of the Fstoppers Flash Disc ($49.99 from Amazon) this evening. It had taken 20 days to arrive, first going to Shipito‘s facility in California, then forwarded to my place in Bangkok. Since it is late evening on a Wednesday, I will not have a chance to try this out properly yet. 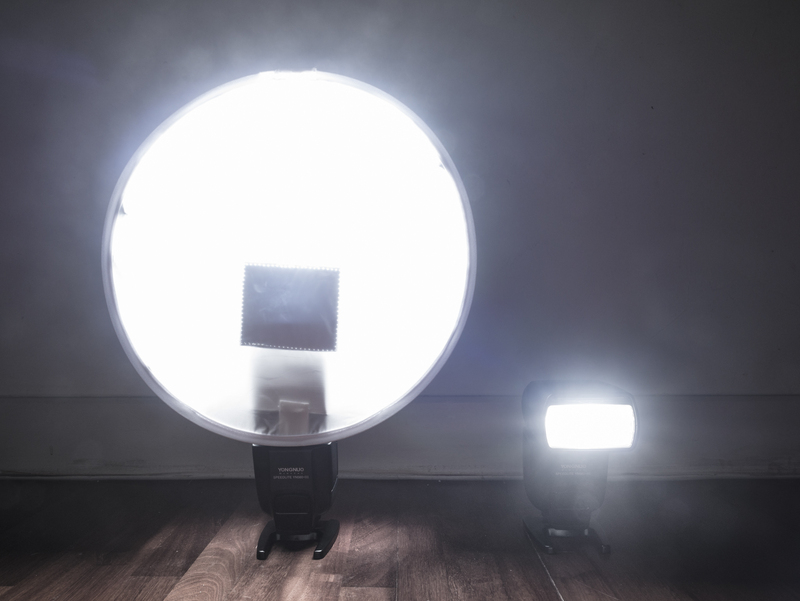 This first look is going to just show the basic idea of this nifty little light modifier. I was actually surprised by the size of the Amazon box, thinking the Flash Disc will be folded when ship. However, it actually arrived stretched out and packed in a simple plastic container. 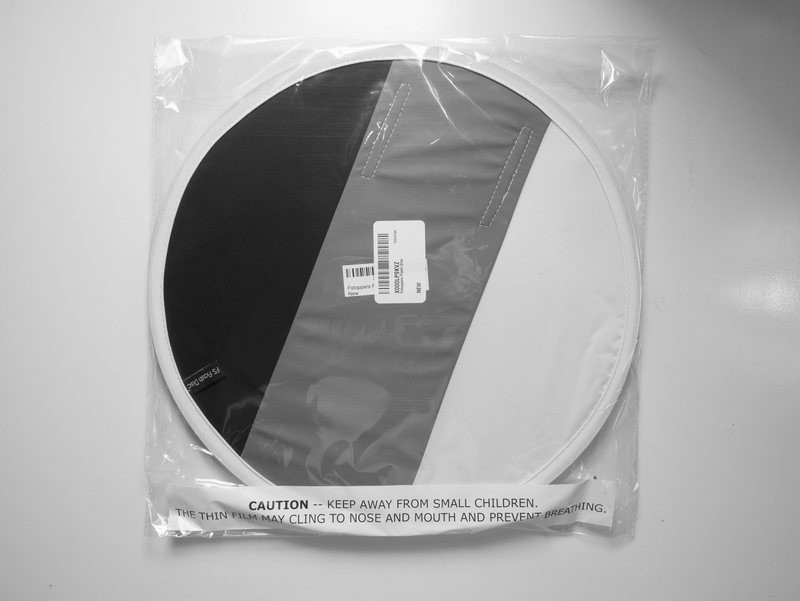 The black nylon container was tucked inside the Flash Disc. The first time I folded it up and put it in the container, I had to smile. This is super light and tiny. How tiny? 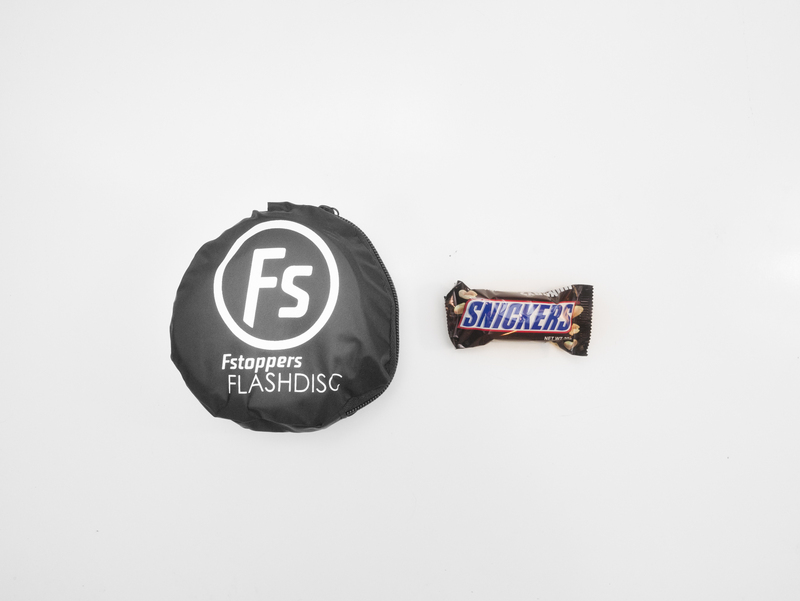 That’s the folded up Flash Disc compared to a 20 g Snickers. It takes one easy step to put the Flash Disc on my Yongnuo YN-560 III speedlight. I did not take picture of the mounting, but to give an idea it is like pulling on a trainer. There is a little flap that you can grab while pulling the Flash Disc on, which makes it less fiddly than otherwise. This is how it looks on the speedlight. The side view shows the Flash Disc is hardly any thicker than the flashlight itself. The inside of the curved side is reflective. This prevents light spilling and at the same time bounce light back into the Flash Disc, which makes it more uniform and increase the front light output. The top part tends to come together like pictured below, and I think they could improve the design by adding some sort of elastic band that help keep the front and back reflector apart better. And now come to what really matters. How is the light profile coming out of the Flash Disc. 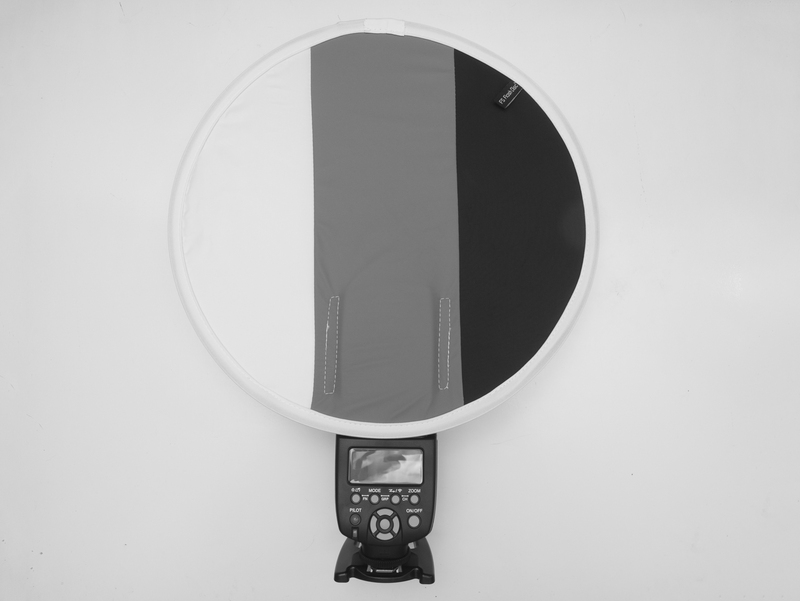 As we can expect, the 12″ Flash Disc increases the illuminating area of the speedlight significantly. Above are 2 identical Yongnuo YN-560 III, both set at 1/128 power. The spill control on the sides are great, and this should give nice round catch light. I am still trying to figure out why it needs the rectangular patch seen above as dark rectangle. That part is right at the flash head’s output and made of reflective material on the inside. Perhaps it is there to avoid hot spot, and perhaps it works better than without one, but the look still nags me a little as I’m not sure yet whether it will be noticeable in the catch light. In summary, this looks like a versatile little light modifier that I can see myself carrying around a lot more than the other modifiers, simply because of the tiny footprint and decent output. 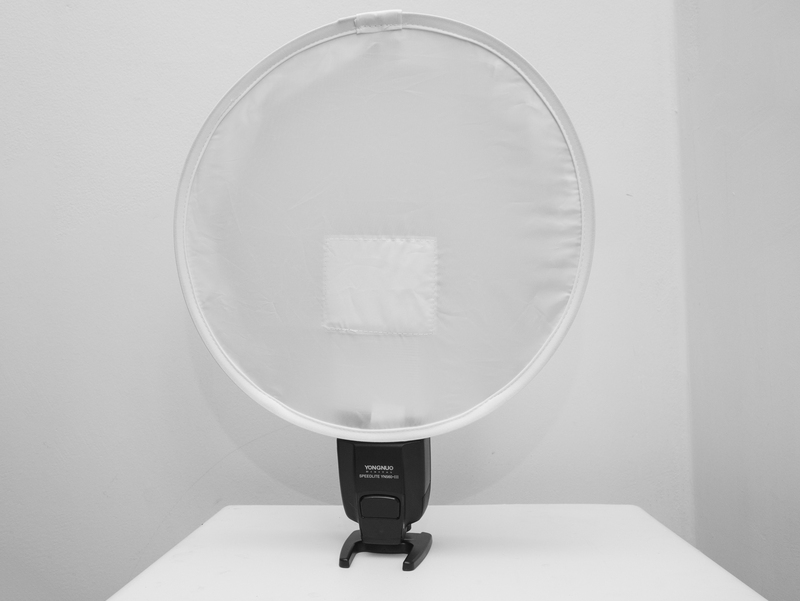 The next smallest (when packed) light modifier that I have is the 60cm Godox softbox, which also folds up. But it requires Godox’s S-Type Speedlite Bracket in order to mount a flash on. The softbox and the Bracket fits in a handy bag, which is not terribly large in itself, but gigantic compared to the Fstoppers Flash Disc. I can throw the Flash Disc in my bag together with the Olympus FL-600R and it will hardly take up any space and weights very little! My only regret is that I bought only one of the Flash Disc. (I wasn’t sure if it will work well) The video tutorials here shows how to use 3 of them coupled with some small flashes to create quite nice beauty portrait or small product shots. I have the flashes, and could use the small footprint of the Flash Disc set up. 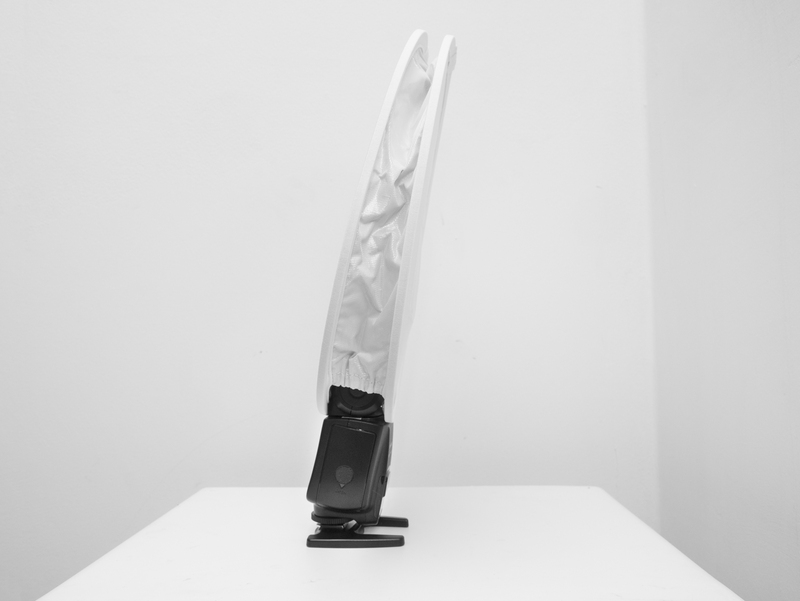 If nothing else, they will look much less suspicious to the wife compared to the 110cm Octobox or 55cm Beauty Dish. I am also a Micro 4/3s shooter! Does it securely fit the FL-600R? I ask as I know you have one but there is not any mention of you using the FStoppers Flash Disk with it nor is there any photos above of such. I look forward to hearing your response before I invest in 4 of these. Thanks Chris for your very fast response. Thank you again & keep up the great work!